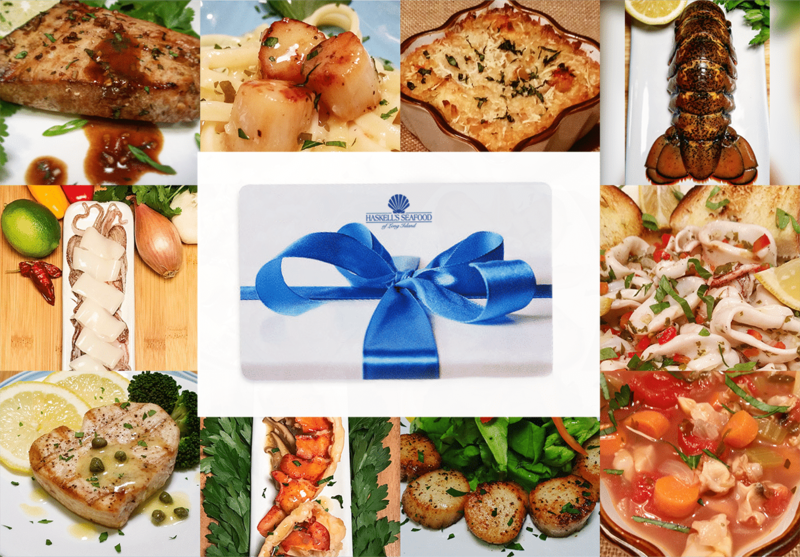 Make it a celebration, any day of the year, with a gift of Haskell’s Seafood! Haskell’s Seafood makes the perfect gift for family, friends, and loved ones. We offer both Mailed Gift Certificates and E-Gift Certificates to best suit your occasion, anywhere in the country.